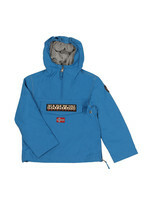 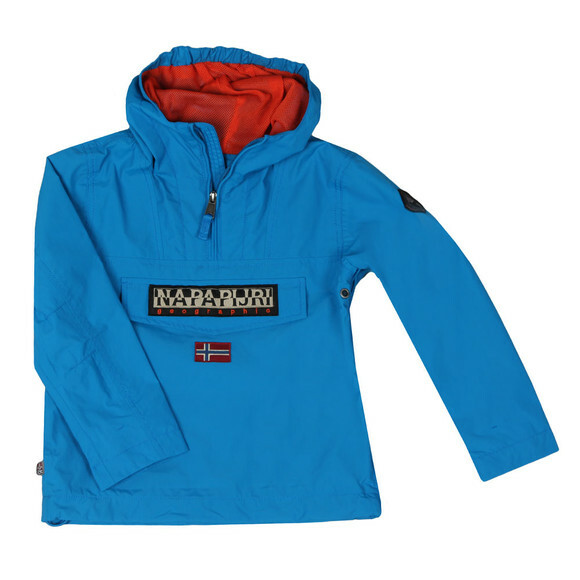 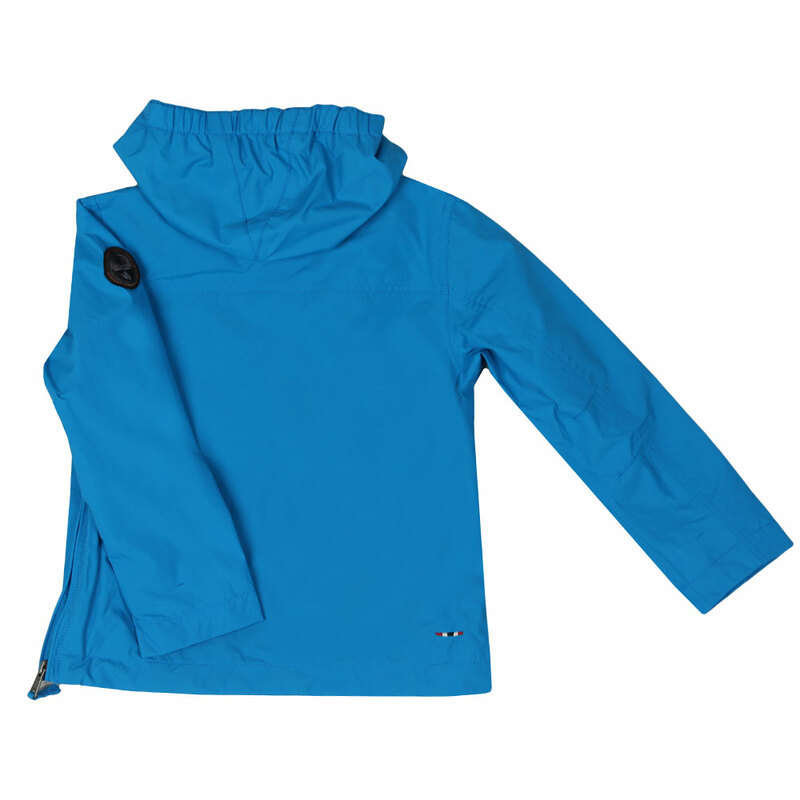 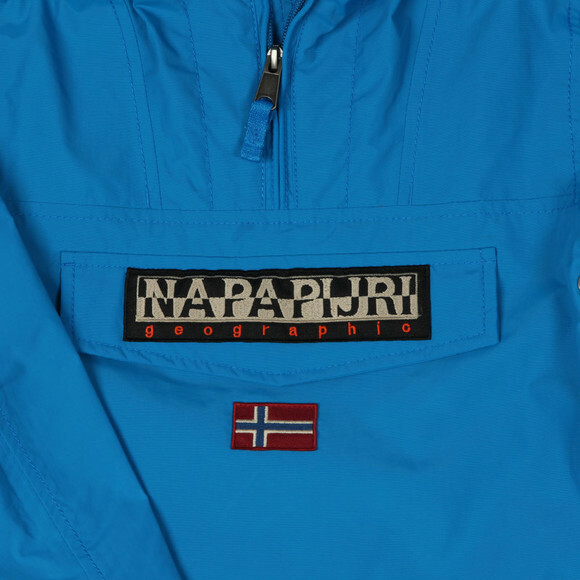 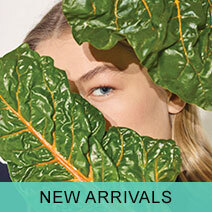 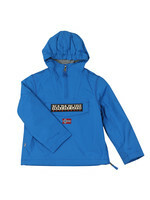 The Napapijri Rainforest Summer Jacket in Turquoise is a lightweight version of the classic overhead jacket from winter. 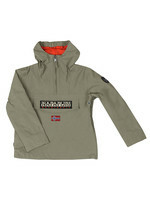 Still carrying the iconic front pouch pocket and large, embroidered logos on the left arm and chest. 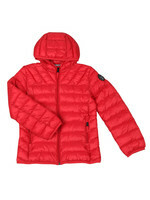 This jacket is water resistant and has a half zip and side zip design making putting on and taking off is easy.